Lucibela Channels The Joy Of Cape Verde On 'Laço Umbilical' The 32-year-old singer shows off a liquid voice rich with the music and culture of her native country for her debut album. Lucibela's debut album is a joyful celebration of her native Cape Verde, a country grappling with historical hardships. The islands of the Cape Verde are notoriously barren, yet they've produced some of West Africa's most enchanting singers. Ever since the death of diva Cesária Évora in 2011, fans have been waiting for another Cape Verdean singer with sublime poise and emotional power. We may have found her in Lucibela, a 32-year-old singer with a truly magnificent voice, liquid and effortless across a wide vocal range. Lucibela's debut album Laço Umbilical is a joyful celebration of her homeland. 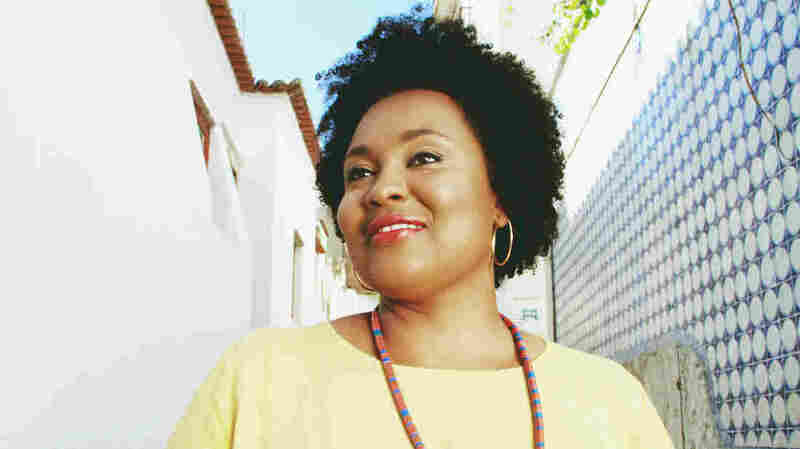 Some songs on the album, like "Chica di Nha Maninha" for example, are mornas; distinctly Cape Verdean ballads with the melancholy of Portuguese fado and a gentle lilt more akin to Brazilian or Afro-Caribbean music. Longing and sorrow — sodade, as the locals call it — is a fact of life on these beautiful islands, where droughts and scarcity have forced so many to seek fortunes far away. For all the separation and hardship they've endured, Cape Verdeans are ardent dancers and celebrators, evidenced in coladera, the other bright, buoyant local music showcased on Lucibela's album. The charm of Cape Verdean music is this alluring alchemy of joy and wistfulness. Lucibela knows this all too well. When she was just out of high school, Lucibela's widowed mother died and she made her living singing in tourist hotels. Before she turned to mornas and coladeras, Lucibela sang jazz, rock and Brazilian bossa nova. Lucibela even incorporated bossa nova into her debut. These days, Lucibela lives in Lisbon, Portugal — yet another Cape Verdean lured away from her beloved home. But as her album title, Laço Umbilical, suggests, there's an umbilical cord that keeps her connected to her home country and it's evident in every note on this gorgeous debut.